The real mystery to me then was how energy could propagate through space. I couldn't understand it and became fascinated by the mathematics that explained it. He spent two years as an undergraduate at the Massachusetts Institute of Technology studying courses leading to a B.S. degree. The academic side went well, but MIT had a requirement that students participate in the Reserve Officer Training Program. Mazur did participate in the programme but he did not enjoy it and this was evident in his performance. MIT did not consider that he had fulfilled the requirements of the Reserve Officer Training Program and withheld his degree. Fortunately Princeton was satisfied with evidence of mathematical ability rather than requiring a degree certificate which Mazur never received, so he was able to enter the graduate school at Princeton University. At Princeton his thesis advisor was Ralph Fox and he was also influenced by R H Bing. He received a Ph.D. in mathematics in 1959 for his thesis On Embeddings of Spheres. His achievement was already remarkable for by this time he had proved the Schönflies Conjecture in geometric topology. Before the award of his doctorate, he was a research fellow at the Institute for Advanced Study during the session 1958-59. In 1959 his first four papers were published: The definition of equivalence of combinatorial imbeddings; On the structure of certain semi-groups of spherical knot classes; Orthotopy and spherical knots; and On embeddings of spheres. Sometimes a line of mathematical research extending through decades can be thought of as one long conversation in which many mathematicians take part. This is fortunately true at present and has been so throughout the century. I came to number theory through the route of algebraic geometry and before that, topology. Grothendieck was exceptionally patient with me, for when we first met I knew next to nothing about algebra. In one of his first conversations with me, he raised the question (asked of him by Washnitzer) of whether a smooth proper algebraic variety defined over a real quadratic field could yield topologically different differentiable manifolds realized by the two possible imbeddings of the number field into the reals. What a perfect question, at least for me! Not that I answered it. But it was surely one of the very few algebro-geometric questions that I then had the background to appreciate. ... the question provided quite an incentive for a topologist to look at algebraic geometry. I began to learn the elements of algebraic geometry working with Mike Artin. The proof of the Main Conjecture of Iwasawa theory by Mazur and Andrew Wiles, in "Class fields of abelian extensions of Q" (1984). Ken Ribet's proof that the Taniyama-Shimura conjecture implies a proof of Fermat's Last Theorem, in "On modular representations of Gal(Q/Q) arising from modular forms" (1990). Wiles's proof of the Taniyama-Shimura conjecture and of Fermat's Last Theorem, in "Modular elliptic curves and Fermat's last theorem" (1995), using results with R Taylor in "Ring-theoretic properties of certain Hecke algebras". Loic Merel's proof of the uniform boundedness conjecture for the torsion of elliptic curves defined over number fields, in "Bornes pour la torsion des courbes elliptiques sur les corps de nombres" (1996). Rarely has a single paper given rise to such a wealth of important mathematics as has Mazur's paper on "Modular curves and the Eisenstein ideal". Mazur had much earlier received the Cole prize for work which would prove important in the solution of Fermat's last Theorem. This was awarded for his work on the arithmetic theory of elliptic curves. Number has had, and will continue to have, an evolution. How did Number begin? We can only speculate. Did Number make its initial entry into language as an adjective? Three cows, three days, three miles. Imagine the exhilaration you would feel if you were the first human to be struck with the startling thought that a unifying thread binds three cows to three days, and that it may be worthwhile to deal with their common three-ness. This, if it ever occurred to a single person at a single time, would have been a monumental leap forward, for the disembodied concept of three-ness, the noun three, embraces far more than cows or days. It would also have set the stage for the comparison to be made between, say, one day and three days, thinking of the latter duration as triple the former, ushering in yet another view of three, in its role in the activity of tripling; three embodied, if you wish, in the verb to triple. Or perhaps Number emerged from some other route: a form of incantation, for example, as in the children s rhyme One, two, buckle my shoe ... However it began, this story is still going on, and Number, humble Number, is showing itself ever more central to our understanding of what is. The early Pythagoreans must be dancing in their caves. The deep questions posed by number have inspired the creation of some of the most powerful mathematical techniques and theories. The more one studies these questions, the more one comes to realize how central a role they play in so many aspects of mathematics and physics. ... produces, without effort, innumerable problems which have a sweet, innocent air about them, tempting flowers; and yet ... number theory swarms with bugs, waiting to bite the tempted flower-lovers who, once bitten, are inspired to excesses of effort! Barry Mazur is a perfect match for the Gade University professorship," Rudenstine said. "He thinks deeply. He teaches with great clarity and commitment. He helps trace the ways in which mathematics is integral to the structure of knowledge in the disciplines that may not otherwise seem to be significantly connected. We are indeed very fortunate to have him. Barry is not only a brilliant mathematician, but a wonderful teacher who engages biologists, physicists, economists, and others and seduces them into an understanding of the beauty and use of mathematics. I am delighted by his elevation to the Gade University Professorship. In order to get the full resonance of what one is thinking about, even if it is the latest idea in a technical realm, it's better if one is in touch with people who are just beginning to grasp the ideas. Another honour given to Mazur which we have not mentioned above was his election as a member of the National Academy of Sciences in 1982. More recently, he has been elected a member of the American Philosophical Society (2001), and awarded an honorary degree from Colby College (2004). Mazur has written several research books such as Étale homotopy with Mike Artin in 1969, Smoothings of piecewise linear manifolds with Morris Hirsch in 1974, and Arithmetic moduli of elliptic curves with Nicholas Katz in 1985. 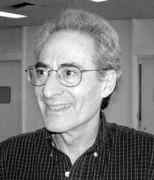 More recently he has written an outstanding popular work on complex numbers entitled Imagining numbers (2003). Mazur, however, is not the only member of his family writing popular books. His wife Grace Dane Mazur left science in 1986 for writing fiction (unlike her husband whose work is definitely non-fiction!). She published Silk, a collection of stories, in 1996. It was named by the New York Times as a notable book of the year. More recent works have added to her literary success.